No bones about it, So Delicious is one of my favorite brands. From ice cream, to yogurts and almond milk, So Delicious lives up to their brand name. 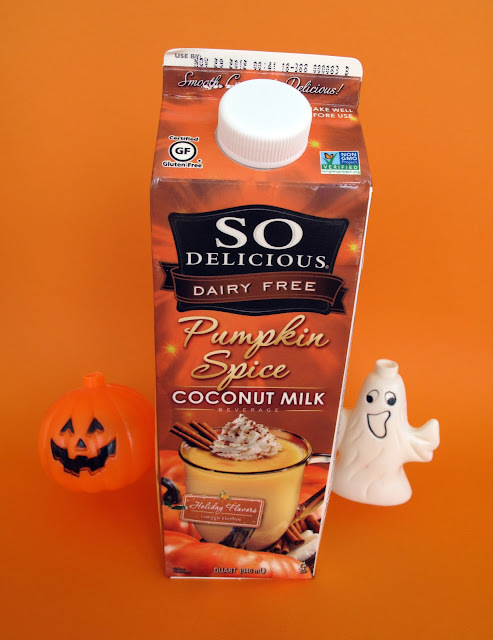 They recently asked if I was interested in trying their new Pumpkin Spice Coconut Milk. Uhh, yeah!!! It's totally the perfect time of year to be drinking this stuff. I wasn't in the Halloween mood till I had a swig of the Pumpkin Spice. Now I'm decorating the house and everything! In fact, ghosts will be fighting off other ghosts just to get a sip of the new Pumpkin Spice Coconut Milk! My first impression was that I was drinking pumpkin pie, no lie. A spicy pumpkin pie that was pureed with coconut milk and put in a carton. Decadent liquid dessert! Unless you absolutely hate pumpkin, you're going to want to buy it by the case. 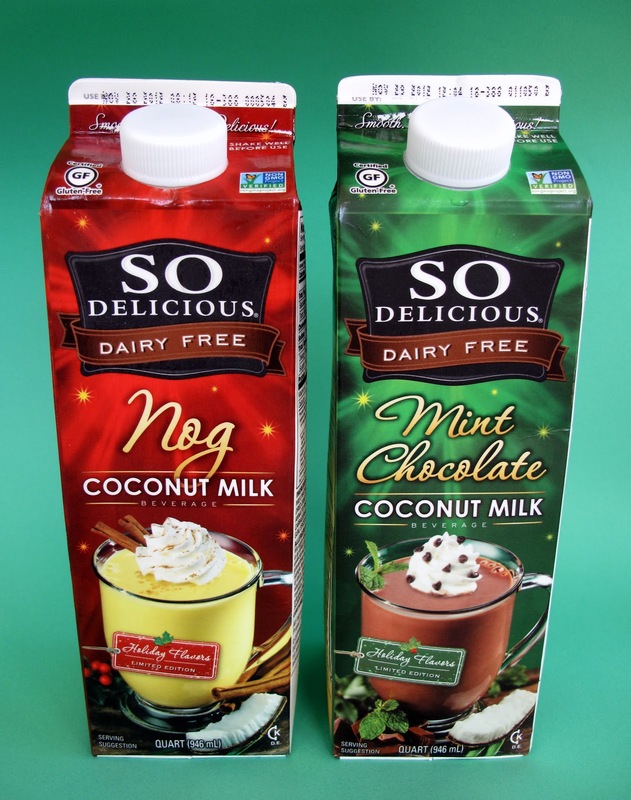 So Delicious also sent their other holiday Coconut Milks: Nog and Mint Chocolate! I reviewed them last year and I LOVE them. So if for some reason you don't like pumpkin, Nog or Mint Chocolate will be right up your alley. Thanks again to So Delicious for making the lives of Vegans so very delicious! SHUT THE FRONT DOOR! i need this in my mouth asap! i liveeee for all things pumpkin spice! ohmyfriggingoodness!!! On my way to the store!! Totally totally need this NOW! OMG YES PLEASE!!!! THe pumpkin spice and mint chocolate really need to make an appearance in my fridge! Yum!